Education Quizzes is a cool revision site specifically designed and written by teacher for children, it covers all of the popular key subjects in KS1, KS2, 11-Plus, KS3 and GCSE and is in line with the national curriculum. Education Quizzes is designed to help support children in their everyday learning from the comfort of your own home. All subject quizzes are broken down which allows children to gain an easier yet deeper understanding as when you work your way through the chosen subject quiz, each time you answer the questions you are given a simple explanation along with the correct answer, this really helps your child to learn and widen their knowledge base and reinforce the theory behind the subject. 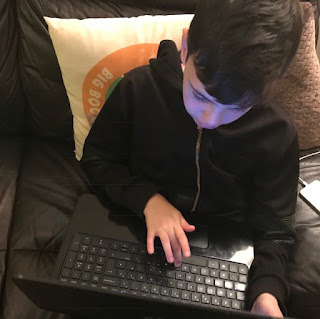 I was really impressed with the site, both of my boys explored the Education Quizzes KS3 section, they found it easy to navigate to their desired subject and select a quiz, as a parent I really like this site as, like most my boys love quizzes, so not only are they having fun but the quiz also reinforce what they are learning at school which is invaluable. Subscription is monthly at £9.95 and can be cancelled at any time, Educational Quizzes are aware that not every parent can afford the £9.95 monthly subscription, so Educational Quizzes are currently promoting the idea to schools which will extensively reduce the costs to parents. For more information on Educational Quizzes check out www.educationquizzes.com.